My post for the Bridging The Gap Synchroblog and the conversation that was generated from that post was what grabbed Wendy’s attention. 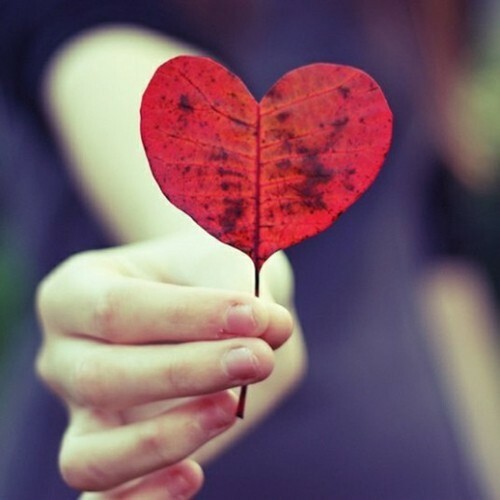 Be sure and check out Wendy’s blog. She started her blog after she was fired from a non-profit organization strictly because of her sexual orientation. I want to say that I am humbled and thrilled to accept the Bridge Builder’s Award!!!!!!!!!! 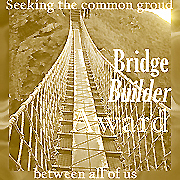 This entry was posted in Award, blogging, Building Bridges and tagged Award, Building Bridges on July 30, 2009 by Liz. Love Loud: Actions Speak Louder Than Words is the Southern Baptist Convention’s theme this year. I find the theme ironic in light of their recent decision to expel Broadway Baptist Church of Fort Worth, Texas from the SBC due to the fact that Broadway (in their opinion) did not put enough effort into opposing homosexuality. Back in 2007 Broadway Baptist was preparing to celebrate its 125th birthday and part of that celebration was to include a church pictorial directory that would include yearbook style photos of its members and families. A problem arose when some gay couples (I think it was three gay couples) asked to have their pictures included. It quickly became a divisive struggle as the church began to disagree as to whether allowing the gay couples’ photos to appear in the directory would be an endorsement of homosexuality. After much debate and a vote, it was decided that no family photos would be used – instead group photos would be taken and published in the directory. The issue led to a lot of conflict within the church and eventually to a motion before the SBC to disassociate from Broadway. There was no evidence that the church endorsed or affirmed homosexuality but the SBC eventually decided that there was a lack of active opposition (like asking gay persons to resign from their volunteer positions and offering some sort of restorative ministry for gays) and voted to oust Broadway Baptist after a 127 year relationship with them. I remember when I first heard about the directory issue at Broadway – I was disappointed that it was an issue, after all, they weren’t worried about including pictures of gossips, gluttons, adulterers, thieves, liars, drug users, unwed mothers, divorced people or even straight people who didn’t think homosexual relationships were sinful – they were only concerned about including pictures of gay couples, and I was disappointed that they ended up with the “no family photos” decision. I thought it was a poor attempt in demonstrating the love of Jesus. But now that they have been ousted by the SBC I feel a little better about their “small step for gaykind”. I still think it is sort of lame that Christians can shock the world so easily by displaying a little tolerance – I really think we should be shocking the world with an extravagant and generous love – but I think the attention this church has received over this issue is going to help in the long run. So, as sad as I am that there are still so many who think God’s mission is to keep openly gay people from serving in the Kingdom of God and from being recognized members of the body of Christ, I am hopeful because of those who are slowly standing up against that kind of mindset and I am thankful that Broadway Baptist did not take formal congregational action to condemn homosexuality (as some conservatives wanted to see happen). Click here to read “Disfellowship and Dismay”, an excellent column from the interim pastor of Broadway Baptist. No matter what the SBC says – I think their actions are loud and clear! This entry was posted in Baptist, church, homosexuality, Jesus and tagged Broadway Baptist, homosexuality, Jesus, SBC, Southern Baptist Convention on July 2, 2009 by Liz.